Working in conjunction with leading Counsel, Jeremy Cahill QC of No.5 Chambers, Tetlow King Planning (TKP) was able to persuade senior Planning Inspector, Jessica Graham, to recommend approval of 200 houses and a 150 berth canal marina in the Green Belt to the Secretary of State, following a three day public inquiry. Unfortunately the Inspector’s recommendation was not ultimately accepted by the Secretary of State, who chose to dismiss the appeal, albeit still granting a full award of costs to the Appellant, the Ronald Wilson Trust. The appeal related to a large 29 hectare site in the Green Belt on the edge of Bedworth, formerly the Hawkesbury Golf Course. The site sits adjacent to the Coventry Canal at Hawkesbury Junction. The original proposal included up to 200 dwellings, a 150 berth Canal Marina, allotments, community building and public open space. After detailed discussions over many months, the planning officers of Nuneaton and Bedworth Borough Council recommended approval of the application. Members initially supported officer’s recommendations and resolved to approve the application at Planning Committee; however it was subsequently called back to committee after a procedural error within the Council meant that local residents had not been notified that the scheme was to be discussed. At the second meeting the scheme was unanimously refused for the sole reason of impact upon the highway network. An appeal was made and at the same time a revised application submitted, reducing the number of dwellings to a maximum of 169. This second application was again recommended for approval but refused by members. This was also appealed and both proposals were considered at the same inquiry. At the inquiry a compelling case was made setting out the very special circumstances for this large scale development within the Green Belt. These included that the Council’s development plan was not up to date and relevant; and that it was agreed that the Council could not demonstrate the necessary five year housing land supply required by the National Planning Policy Framework (March 2012). Jonathan Adams, Director at TKP, provided the expert planning evidence at the public inquiry to justify this major development within the Green Belt. He was assisted by highway consultants, Entran who provided evidence that there was no justification for the highways reason for refusal. 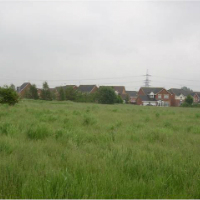 “Green Belt considerations apart, the Secretary of State sees considerable merit in both the appeal proposals. Whilst he considers that the decisions on both appeal proposals are very finely balanced, he considers that in both cases the benefits do not clearly outweigh the harm to the Green Belt”. Despite the negative decision on the two planning appeals, TKP was successful in obtaining a full award of costs for the Appellant due to the unreasonable behaviour of the Council in failing to produce evidence to support its reason for refusal. The appeal can be viewed here. TKP continues to promote this site as part of the emerging Nuneaton and Bedworth Local Plan as well as preparing a revised application on this site on behalf of a new client.